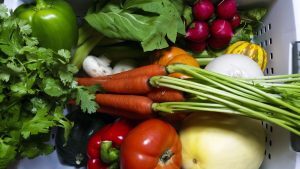 How to save money while eating vegan and healthy. This vegan grocery shopping list will focus on higher calorie foods with less volume in order to help you save money. Most of the items listed can be found at either Amazon.com or Wal-mart. These are some of the cheapest high calorie items available. I know that some items like celery and watermelon are not high calorie but they will add a little bulk to your meals. Check out my Vegan Grocery Hauls to see what I buy. To see what a vegan eats visit my Instagram profile. Legumes such as pinto beans and grains like brown rice are high in calories and nutrition and will help to satiate your appetite without making you feel bloated and heavy. Purchase them dry and cook them in a slow cooker or on the stove. Remember they double in size so if you purchase 1 lb. dry you are actually getting 2 lbs. cooked. They also store well. Purchase them in bulk for less and store 50-100 lbs. if you have the space for it. 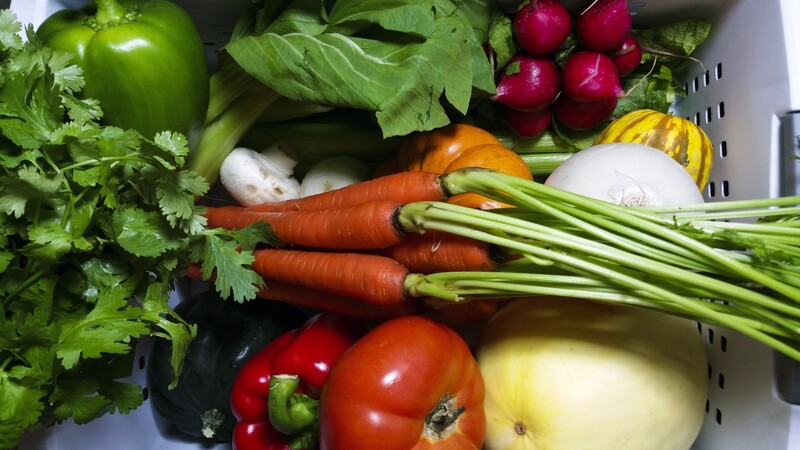 Vegetables contain most of the nutrients needed to sustain human life. They taste better fresh but if you are going to cook them or add them to something that will be cooked just purchase frozen because it is less expensive. Sweet potatoes pack more nutrition than other potatoes like russet, white, or gold. Avocado is a nice high fat item that will also help satiate you. Nuts are another high fat healthy food. They contain OMEGA-3, vitamin E, and fiber. Eat up to 160 calories or 28 grams of nuts a day. Do not eat more than this in a day because it is unhealthy. Fruit contains antioxidants which help kill free radicals that cause cancer. Mmm sugar… While fruit does contain sugar as long as it is eaten as a whole food and not juiced the fiber and water in fruit will slow the absorption of sugar into the blood stream. I personally eat about 2000 grams (approx 4 lbs.) of fruit a day and I am thin as a board. I don’t get a sugar rush from eating that much fruit either. Bananas a high calorie, high nutrient fruit are one of the least expensive foods available. If you want more calories and nutrients try plantains which are starchy instead of sweet. They are usually cooked like a vegetable but can be eaten raw. They have a texture similar to a banana and a white potato. The taste is more like a white potato. Watermelon and honeydew are great choices because they are usually sweet to very sweet. They also contain a high water content and are low in calories. But don’t eat too much melon because they can make you feel heavy and bloated. Use any spices except salt, sugar, and artificial sweetener. The spices should not contain these items either. Vegans need to get vitamin B-12 from fortified foods. 1 TBSP of Bragg Nutritional Yeast contains all the vitamin B-12 you need for a single day. Although not really necessary you can add vitamin D to fresh store bought whole mushrooms by sitting them top down in bright sunlight for about 4 hours. About one mushroom will greatly exceed the amount of vitamin D you need in a day. 1 week of vegan food at 3000 calories a day. 1 week & 4 days at 2000 calories a day. 2 weeks at 1500 calories a day. I’m not going to show you specific meals because you should be creating your own meals and snacks using the items above of your choice. 8c 3-4 spices 1/4 – 1/2 tsp each. 8c 1-4 spices 1/4 – 1/2 tsp each.